While it has long been known that the Anabaptists rejected participation in the magistracy, i.e., state office-holding, a comprehensive and systematic analysis of the Anabaptist basic attitude toward the state based upon the sources has been lacking. The resulting unclear and partial understandings have resulted in considerable confusion which has often been compounded by the attempt to include the revolutionary Anabaptists such as the Münsterites and Batenburgers in the general picture and the frequent assumption that the Anabaptist position toward the state was an irresponsible one, the incidental byproduct of a Biblical naivete unaware of the complexities of a social order. Recent research, particularly the doctoral dissertation of Hans Hillerbrand, has shown on the contrary that the Anabaptists had a coherent and consistent position toward the state which was deliberately taken and was based upon a thorough, systematic, and basically consistent attitude toward the Scriptures. In short the Anabaptists had a sound theology of the state and a consistent view of the Christians' attitude toward and responsibility to the state based upon a consistent view of the church and the world. The beginning of all Anabaptist consideration of the state is the affirmation of its divine origin, an affirmation made specifically, emphatically, and repeatedly. This is true of all governments, whether good or bad. "Even Nero," says H. Schnell, ". . . and Pharaoh . . . and Pilate . . . were servants of God." Ambrosius Spittelmaier said in 1527, "Every government that has existed since the time of Adam and exists today has been instituted by God." This position is grounded in direct Scripture quotations, especially Romans 13. The necessity for the state is human sin, but the ordination of the state expresses both God's wrath against sin and His gracious love. In such a theology of the state the Anabaptists are essentially one with the Reformers. Mennonites have followed their Anabaptist forebears in this position and have always held it. A major consequence of such an understanding of the nature of the state is that rebellion against the state is impossible for the Christian regardless of how evil it may be in performance. The notion of revolution was of necessity utterly foreign to the Anabaptist mind in general, granting of course the reality of the exceptions in the case of the revolutionary type. Any "left-wing" element in the Reformation which advocated or practiced overthrow of the state at any time and place must therefore be considered non-Anabaptist or deviationist in central character, regardless of any practice of adult baptism or any genetic connection with original peaceful Anabaptism. Among some early Dutch Anabaptists eschatological views and the expectation of the coming of the day of the Lord in the very near future made them consider the state a negligible matter. But this was a question of practical attitude, not of principle. But the Anabaptist theology of the state went further in concretely defining the tasks of the state and the limitations placed upon it by the divine governance. Its essential function is to maintain order and thus make possible a decent human society. Thus the work of government in punishing the evildoer and protecting the good is proper, good, and necessary, and shows "God's grace and love toward man" (Aufdeckung, Bii b), According to a Hessian Anabaptist Confession of 1571, the office and power of the state were ordained for the good of mankind. The Schleitheim Confession of 1527 is very pointed in its sixth article, "On the Sword." "The sword is ordained of God outside the perfection of Christ. It punishes and puts to death the wicked, and guards and protects the good." Menno Simons (Krahn, 165 f.) clearly held that the state is ordained of God with its task assigned by God. This task he understood to be "to punish the evil, to protect the good, to administer a righteous justice, to care for the widows, the orphans, and the poor, and to provide a police force that is not against God and His Word." The government must exercise its office in "pure fear of God ... and Christian moderation ... with honorable means ... without tyranny and blood-shedding." Menno goes so far as to consider capital punishment not allowable. But the Anabaptists placed a major limitation on the authority of the state: it had no right or jurisdiction to function in the spiritual realm; a government attempting to rule the hearts of men was overstepping its functions and tasks. Several times the martyrs, charged with transgressing the imperial mandates, admitted the charge, but added that the emperor had no right to make such a mandate. Christ alone is the Lord of conscience. Here the Anabaptists and the Reformers parted. For the latter the state was to be the Defensor fidei, with the power and duty to maintain religious and ecclesiastical uniformity and suppress dissent. The Anabaptists broke completely with the state-church system with its corpus christianum, which the Reformers retained. Hence the Anabaptist concept of religious liberty and religious pluralism, advanced far beyond its time, was in direct clash with both the Catholic and the Protestant concept. It is true that commonly the Reformers' rejection of the Anabaptist position was attached to the concept that religious pluralism would lead to social disorder and ultimate chaos, and that therefore the idea of religious freedom and independence of the church from the state was against God and man, was both blasphemous and seditious. But as early as 1524 the Zürich Anabaptists had replied to Zwingli's charge that rejection of infant baptism would lead to the breakdown of order in society (Wer ursach gebe zu Aufruhr) by challenging this fear as groundless (Protestation, by Felix Manz) -- nothing of the like would happen. A major consequence of the Anabaptists' positive acceptance of the state as a divine institution with a divinely assigned task to perform was the doctrine of full obedience to the state, except in the spiritual realm. Here obedience is not required, since when the state enters this realm it exceeds the divinely set bounds of its authority. But even here, only passive resistance and suffering are allowed, no active rebellion. That in spite of the repeated affirmations of the Anabaptists of their readiness to obey and promise never to resist, the charge of sedition and rebellion was widespread and persistent even before Münster (1535) is a mystery. That the impact of the latter and the propaganda made of it by the enemies of the Anabaptists would naturally tend to support and intensify the charge is clear. But the coolheaded and objective Sebastian Franck called this fear completely groundless (Chronica, 153, 449), saying, "Even if I were the pope, emperor, or Turk, I would have less fear of a rebellion from these people than from any other." In no respect then were the Anabaptists negative toward the state. In spite of their positive evaluation of the state and their position of obedience toward it, however, the Anabaptists did reject completely all participation in government or holding of government office. The Anabaptists, as Hillerbrand has shown, had a reasoned and consistent basis for their rejection, and gave four major reasons for their rejection of office holding. (1) Scripture gives no authorization for it and Scripture was the supreme authority for the Anabaptists. No Christian may use the sword to punish or to kill, "for he has no Scripture for it," as Felix Manz said in 1525. (2) Christ's example is against taking part in government. "If the governmental authorities wanted to be Christians," says one Anabaptist, "they would actually need to manifest and maintain the nature and manner of the life of Christ." Another says, "Christ Himself says in John 15, If they persecute me they will also persecute you - that is an open testimony that you will not find any government officers among the Christians." A frequently cited example was that Jesus refused to be a judge over the two brothers who had a dispute over their inheritance, hence Christians cannot be judge. Still more frequently cited, Jesus refused to let the people make Him king; He rather fled from them. So we should do likewise and follow Him, says the Schleitheim Confession of 1527. A speaker at the Zofingen debate of 1532 said, "Jesus gave us an example as is stated in 1 Peter 2, that we should follow His footsteps under the cross." Repeatedly Anabaptist writers refer to the suffering of Christ, whose nature is so different from that of the dominating and proud (prunkvoll) authorities. The Schleitheim Confession's article on the sword was frequently quoted by later Anabaptists in rejection of participation in the magistracy. (3) Indirect teachings against "lording it" over others are given as a ground for rejection of governmental office. The most commonly quoted teaching of Jesus, the locus classicus, is Matthew 20:25-27. "Ye know that the princes of the Gentiles exercise dominion over them, and they that are great exercise authority upon them. But it shall not be so among you; but whosoever will be great among you, let him be your minister; and whosoever will be chief among you, let him be your servant." This passage was taken to prove that there are two diametrically opposed principles in the world which can be stated thus: government rule means might and lordship; to be a Christian means to serve, suffer, and be persecuted. This is a difference that cannot be bridged. When the opponents produced the case of Cornelius as an illustration of a government officer who became a Christian and thus justified Christians holding office, the Anabaptists countered that of course Cornelius was converted to Christ and thus received new ethical principles for his life and could not have continued as a government officer. Two other Anabaptist arguments against participation in government fall under the heading of the teaching of Jesus. One was that the government is essentially the bearer of revenge and the pursuit and punishment of the evildoer, whereas the message of Jesus stands diametrically opposed to this: the Christian is not to resist evil or take revenge. In the kingdom of Christ all revenge is forbidden. The second is the Lord's Prayer which indicates that God will forgive us only as we forgive our enemies. If we use revenge, the sword, and prison, what else can we expect from God? If the government officers really love and forgive transgressors, how then can they execute them? (4) A final basic Anabaptist argument against participation in government is that of the necessary radical separation of the church of Christ from the world. Did not Paul say, "For what have I to do to judge them also that are without" (1 Corinthians 5:12)? This verse was used to justify the concept that the Christian has no responsibility for maintaining law and order in the world. The world is the "civitas Diaboli"; those who belong to the church of Christ and are concerned to follow Christ dare not have anything to do with it, although of course the Great Commission will lead them out into the world to proclaim the message of Christ. "World" and "kingdom of Christ" are two completely separate realities for the Anabaptist. He was not to be concerned with what goes on in the world. To the charge of the Reformers that such a denial of responsibility for the social order could mean a disruption of the functions of government and ultimately lead to chaos, the Anabaptists answered that there would always be sufficient available persons to fill the governmental offices. In any case, the state's ministry at this point is not necessary for the Christian, and the Christian does not need to render to the state the oath, nor military service, nor war taxes. The church will discipline its own members for their misdeeds, using only the ban. Of course gross sins are rightly punishable by the state, even if the criminals have been church members. To the protest of the opponents that the Old Testament saints occupied government offices, that David, for instance, was a king, the Anabaptist answer was simple, the New Testament has replaced the Old. Christ is now the norm, not the Old Testament. The Anabaptist political ethic with its dualism of holding that God ordained the state with its sword, yet claiming that the state's operation involved non-Christian principles, remained finally unresolved in Anabaptist thinking. The state operates on principles of its own, ordained by God, which parallel the principles of Christ's kingdom, and are not in accord with it. But what of that? Paul Glock's answer to the problem was simply, "Who will quarrel with God's ordination?" Thus we see that the early Anabaptists faced squarely the issues involved in participation in government, that they took deliberate conclusions based upon Biblical foundations, and that they were consistent in their position. They did not simply yield to the force of circumstances or develop an ex post facto justification for what they could not do anyway. The principle of nonparticipation in government having been established historically at the beginning of the Anabaptist movement, it is necessary to note the record of actual participation in the functions of government (the magistracy) in legislative, executive, or judicial functions, or in subsidiary office holding of a political nature, excluding the welfare functions. In this review we shall omit the revolutionary Anabaptists of Münster who took over the city government in 1534 and established an Old Testament theocracy which was suppressed by military force a year later. The Anabaptists universally rejected participation in government with one exception. This was the large congregation at Nikolsburg in Moravia, founded by Balthasar Hubmaier in July 1526 and led by him until his arrest and imprisonment at the end of 1527. Hubmaier did not teach nonresistance but found a place for the sword in the hands of the Christian in support of the government; hence his followers were called "Schwerdtler." The local ruler, Lord Leonhard von Liechtenstein, was baptized in 1527 and became a member of Hubmaier's congregation without surrendering his governmental authority. He even used his authority to expel the nonresistant Anabaptist part of the congregation from Nikolsburg in 1528, most of whom later became known as the Hutterites. The Hubmaier congregation was short-lived; no trace of it is found after 1529. The expelled nonresistant part, however, survived in two major groups in Moravia, the Swiss Brethren (found as late as 1615 in this area) and the Hutterites, who continued in Moravia until expelled in 1622. The first Anabaptists-Mennonites to open the door to participation in government were the Waterlanders, the more open-minded party in Holland. They permitted their members as early as 1570 to hold government offices (van der Zijpp, Doopsgezinden 148), and after that time many of them held such offices, but this was always limited to minor local offices, not involving capital punishment. Often they were semiofficials such as inspectors of the market or trustees of a polder. Only from the early 18th century when the conservative Dutch Mennonites like the Old Frisians still refused to accept any state office did some Waterlanders and progressive Lamists occasionally serve as sheriff or alderman, but only in small towns and in the country where the population was so predominantly Mennonite that scarcely any Reformed could be found to serve in such places. It was not only the duty but also the privilege of the Reformed to govern the country, both in the top offices and in the lower magistracy, and this prerogative was maintained long after the Dutch nation had successfully ended a bitter war with the Spanish for independence. Not until 1795 when complete freedom of religion was achieved in Holland did Mennonites occupy high governmental positions, but after this they entered every level of state offices except that of prime minister, often serving with distinction. Numerous Dutch Mennonites have entered politics and several have served as cabinet ministers. Among them was C. Lely, who laid the plans for the reclamation of the Zuiderzee. Albertus van Delden of Deventer served for 40 years (1858-98) in governmental functions, both in legislative and executive posts, for a time as minister of finance. The minister of reconstruction after World War II was a Mennonite. Another was minister of the navy in the early 20th century. Several Mennonites held the very high post of governor of the Dutch East Indies. There have been numerous Mennonite burgomasters, including the largest cities of Holland such as Amsterdam, The Hague, and Haarlem. Mennonites have also served frequently as judges of the high courts. There have been Mennonite generals in the army. It is almost 200 years since any but a small minority of Dutch Mennonites have been opposed to full participation in the life of the state. From 1796 on, the Mennonites used their right of voting, and there never was any hesitation or even religious question about voting, as is sometimes still the case among North American Mennonites. The German Mennonites, both North and South, have followed a pattern similar to that of the Dutch Mennonites, only several decades later. In one case, the city of Friedrichstadt in Holstein, the change came even earlier. This was the earliest city in Europe to give complete toleration to Mennonites. Here from 1711 to 1786 one of the two burgomasters was continuously a Mennonite. In the 19th century Mennonite Jan Jelle Schuett served a half century as burgomaster, receiving knighthood in 1856 from the King of Denmark for his extraordinarily long and meritorious service. The Mennonite congregations of Krefeld and Emden each furnished a member of the famous first all-German Parliament of 1848 at Frankfurt. One was Hermann von Beckerath of Krefeld, who served a short while as minister of finance in the Prussian cabinet, but retired because of his difference with the politics of the king. He was leader of the Liberal Party in the Prussian parliament 1850-1853. The other member of the Frankfurt parliament was Isaak Brons, a deacon of the Emden congregation, who incidentally was an enthusiastic promoter of what is known as Great Germany and one of the founders of the East Frisian Navy League in 1862. In South Germany it was largely the Palatine Mennonites who entered politics. Peter Eymann, who had been burgomaster of Frankenstein for some years, was elected to the Bavarian parliament in 1848. Much later Heinrich Stauffer, who had been serving in several local government posts, was elected to the German national parliament (Reichstag) in 1903. Jakob Finger, a lifelong member of the Monsheim congregation in Rheinhessen, was an outstanding political leader in Hesse, serving as minister of state for 14 years, 1884-98. He was jokingly referred to as "the little finger by which the Grand Duke of Hesse ruled" his state. 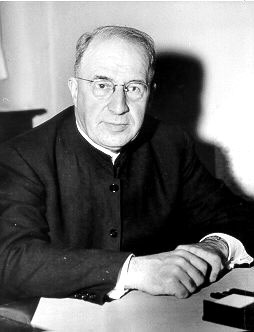 The last president of the Berlin Mennonite Church before World War II, a van Dühren, was a judge of the Berlin Supreme Court. In Russia, apart from the local civil autonomy by which the Mennonite colonies governed themselves under the Fürsorgekomitee at Odessa it should be reported that the noted Johann Cornies (d. 1848), an outstanding agricultural and educational leader in the Molotschna Mennonite settlement, actually was given considerable authority by the Russian governor, which he used effectively, sometimes in almost dictatorial fashion. No Russian representative national parliament was set up until 1905. Very early, however, two persons elected to serve in that parliament were Mennonites. Hermann Bergmann served in the third and fourth Duma, and Peter P. Schroeder served in the fourth Duma. When the constitutional assembly was called in 1917 under the Kerensky regime, the Mennonites undertook vigorous organization and joined with other German colonists in a strong but vain attempt to elect a representative. B. H. Unruh, writing in the Mennonitisches Lexikon in 1921-22, advocated regular political action by Mennonites working through a political party: "The Mennonites in Russia, remaining true to the principles of their forefathers in this point, will never be in politics for politics' sake, but the life needs of the Mennonite society in Russia and the public welfare in the largest sense, will nevertheless lead them to a moderate political action program." In Siberia the Slavgorod Mennonites sent Franz F. Froese as their representative to the Siberian Duma following the Revolution of 1917, and in the second Siberian Duma they had four representatives -- F. F. Froese, Johann Penner, Peter Boldt, and Heinrich Boldt. They also joined the movement to establish an independent German state within an autonomous Siberia. In Switzerland there was no participation in government until the 20th century. An outstanding case was Elder Samuel Nussbaumer of Basel (d. 1944), long-time president of the Swiss Mennonite Conference, who served many years in the legislature of the half-canton of Baselland. Thus in the 19th and 20th centuries in Europe the old Anabaptist rejection of participation in the magistracy had completely disappeared among the Mennonites everywhere. Along with the abandonment of the ancient position, the process of assimilation into the national culture meant also the gradual abandonment of nonresistance everywhere except in Russia (and in part in Switzerland). The history of the attitude and practice of the American Mennonites on participation in government is substantially different from the record in Europe. The Mennonite immigrants to America came in successive waves from Switzerland-South Germany 1707-56 to Pennsylvania, Amish from Alsace Lorraine, Hesse, and Bavaria 1815-60 to the central states and Ontario, Mennonites from Switzerland and South Germany 1815-60 to the same area, Mennonites from Russia to the western prairie states and provinces 1874-80, and Mennonites from Russia to Canada 1922-25, 1930-31, 1948-53. These groups brought with them attitudes on participation in government reflecting their state of mind and practice in Europe at the time, and naturally perpetuated them in the groups which they constituted in America. The first two immigrant groups later constituted the Mennonite Church (MC), the Amish, and related conservative groups. Here the attitude of complete non-participation was established. It has been fixed in the legislation of the conferences and was maintained uniformly into the 1950s. The only exceptions have been a few cases of participation in local government. For instance, T. M. Erb, a bishop at Hesston, Kansas, and long business manager of Hesston College, served on the Hesston town council, and the mayor of Souderton, Pennsylvania, was a lay member of a local Mennonite congregation a generation ago. There have no doubt been other cases of participation in town councils. Many Mennonites and Amish have served on local elected school boards, and some have served as township trustees. In all the other Mennonite groups established in America, the General Conference, the Mennonite Brethren, etc., there has seemingly never been any tradition or regulation forbidding participation in governmental functions at any level, except participation in the police function. Even here there were in the 20th century two cases where General Conference Mennonites served as sheriff, one a member of the congregation at Deep Run, Bucks County, Pennsylvania. In many communities where the Mennonite immigrants have constituted a large part of the local population, they have as a matter of course accepted local office and operated the government. A good illustration is Mountain Lake, Minnesota, where according to the historian of the community, F. P. Schultz, "the Mennonites took over the affairs of the village and township government as soon as they were settled in the community." The following additional statements by Schultz give a more complete picture. "From the time of its separate organization as a municipality in 1886 the village of Mountain Lake was governed by Mennonite officials with the exception of the constable, who was usually an American." "Since 1901 various Mennonites have held different county offices and a few have served as members of the state legislature." John R. Rempel served as justice of the Peace for 25 years in Mountain Lake (d. 1933). "In recent years, particularly since World War I, village politics rapidly developed into a more typically American setup." In World War II, it might be noted, Mennonites (GCM) also served on local draft boards since the war, at least one at Topeka, Indiana, one in Kansas, and one at Mountain Lake, Minnesota. Steinbach, Manitoba is another community which has been almost continuously run by Mennonites in the local government, although the Kleine Gemeinde does not participate. In Goshen, Indiana, Frank S. Ebersole, a member of the Eighth Street Mennonite Church (GCM), served a four-year term as mayor during World War II. General Conference Mennonites have been elected to provincial and state legislatures. Known cases are Kansas -- H. P. Krehbiel, a minister and conference leader, and J. A. Schowalter; Minnesota; Nebraska -- Peter Jansen; South Dakota -- D. D. Wipf two terms as Secretary of State, J. J. Wipf six terms in the House, P. P. Kleinsasser two terms in the Senate, eight others served in the House and four others in the Senate; Manitoba; and Saskatchewan. Others have entered the political lists only to lose at the ballot box. At least two Mennonites were elected to the United States Congress, E. W. Ramseyer, a member of the church (GCM) at Pulaski, Iowa, who served 18 years in the House of Representatives (1915-33) and then as Commissioner in the U.S. Court of Claims at Washington, DC, and E.C. Eicher, a member of the Eicher Mennonite Church (GCM) at Wayland, Iowa, who served 6 years in the House of Representatives (1933-39), then for a year as member of the Securities and Exchange Commission, and finally as Chief justice in the District Court of the District of Columbia at Washington, DC, where he died in office in 1944. Both men were prominent figures in Congress, the former a Republican, the latter a Democrat. The most noted politically active Mennonite in America was probably Peter Jansen, born in 1852 in Russia as the son of the noted Cornelius Jansen, who was for a time Prussian Consul in Prussia and South Russia and immigrated to Beatrice, Nebraska, in 1873. Mr. Jansen began his political career in 1880 as Justice of the Peace. As early as 1884 he was elected an alternate delegate to the National Republican Convention in Chicago. In 1898 he was elected a member of the Nebraska State Legislature, and in 1899 was appointed U.S. Commissioner to the Paris Exposition by President McKinley. In 1910 he was elected to the State Senate of Nebraska. He states in his memoirs that he was frequently urged by friends to become a candidate for governor, but that his pronounced opposition to war and all that was military never permitted him to seek this honor, since as governor of the state he would also be an officer of the militia. He was also conscientiously opposed to the death penalty. The situation at Germantown, Pennsylvania is unique in American Mennonite history. This settlement was established in 1683 by thirteen families from Krefeld, Germany, who at the time of their arrival were for the most part Quakers, but up to a few years before had been Mennonites. In essence their attitude on political matters therefore was the Mennonite attitude of their home church in Krefeld. During the course of the next 25 years at least 40 or 50 Mennonite families, mostly from the Lower Rhine area, a few from Hamburg-Altona, settled in this Germantown village community. They together with Quakers constituted the corporate members of the Germantown village government. The village had been incorporated in 1691 under the laws of the province of Pennsylvania, receiving a special charter. Since the Mennonites and Quakers who had settled here were the corporate members of this borough which was a closed corporation, they had the exclusive right of franchise, of legislation, and of admitting new members into the corporation. They were therefore under obligation to establish and maintain a local municipal government. So long as the village ordinances and local litigation concerned itself chiefly with stray pigs and line fences, there was little difficulty in securing Quaker and Mennonite officials to serve, but with the building of a jail and the introduction of stocks and a whipping post they lost their desire for office. As early as 1701, Pastorius, the non-Mennonite and non-Quaker civil leader of the village, complained to Penn that for conscience' sake he found it increasingly difficult to find men who would serve in the general court of Germantown and that he hoped for relief through the arrival of new immigrants. Several men declined to accept offices to which they had been elected. Finally in 1707 the village lost its charter, chiefly because it was unable to carry on the government which its charter required, and it was merged for political purposes with the township of which it was a part. In this interesting Germantown political experiment, we have a situation where the Mennonites and Quakers were in the majority and had the franchise and were unwilling to admit others to the franchise, but at the same time were unwilling to hold the offices necessary to operate the village government. An altogether different phase of the problem of church and state in Mennonite history, one which has escaped the attention of most Mennonites interested in this problem, occurs in those instances where Mennonite colonies have been granted local political autonomy by the state under whose sovereignty they reside. These cases involve in actual effect the erection of Mennonite states. The first instance of this in Mennonite history is the autonomy granted to the Mennonite settlements (also to other ethnic immigrant groups) in South Russia by the government 1789ff. The supervision of affairs in all the settlements was placed in the hands of a Russian governmental committee, with seat in Odessa, placed directly under the national cabinet in Moscow. Within the Mennonite settlements, however, all strictly local village and settlement affairs were given over to the Mennonites themselves. They were given the right to elect their own officials, to establish their own local laws, and thus to govern themselves quite freely. Since all the inhabitants of the Mennonite districts were either baptized members of the Mennonite church or unbaptized members of Mennonite families, and no non-Mennonites were permitted to live in the settlement, this was a purely Mennonite state. (It should be noted that in time the unbaptized proportion of the population became substantial in size but participated fully in civic affairs. To the Russian government the term "Mennonite" was a cultural or racial concept, not necessarily religious.) The actual conduct of government fell largely to the local village assembly and the village magistrate. To the Mennonite magistrate fell the lot of administering local discipline, with whipping a common method of punishment. A closer examination of the situation reveals that actually the government approached a form of theocracy. Even though the elders or bishops were not at the head of civil affairs, yet as heads of the church they exercised great influence over matters of government, especially over the schools. Frequently also the magistrates requested the elders to assist them in many local affairs. Later on the strong influence of the elders in the village government declined. It is needless to say that it was not always easy to carry out the principles of nonresistance and opposition to the use of force which all the Mennonites of Russia firmly believed in, and at the same time maintain the discipline necessary for a stable order. To lead a fellow member to the whipping post required considerable rationalization of the injunction, "Resist not evil." Worst of all was the attempt of certain Mennonite leaders to have the Russian government banish to Siberia some of the leaders of the new (Mennonite Brethren) movement of 1860. The second instance of Mennonite self-government, on a reduced scale to be sure, and of shorter duration, is found in the Russian Mennonite settlements made in Manitoba in the East and West Reserves in 1874-80. The third instance of Mennonite self-government, fully equal to that in Russia, is found in the Mennonite colonies in Paraguay. The autonomy of the Mennonites in the Paraguayan Chaco is greater than that accorded the Mennonites in Russia. As a matter of fact the Mennonites of the Chaco constitute an absolutely independent state. There has never been any application of any of the laws of Paraguay to them in the Chaco, there has never been any police officer or government officer in the colony to exercise any authority on behalf of the national government, except in the case of the suppression of the Nazi movement in 1940(? ), the courts of the land have never interfered with the Mennonites of the Chaco, and the army during its occupation of the Chaco never presumed to exercise authority. Since each Mennonite colony in Paraguay is independent, in the 1950s there were five Mennonite states: Menno, Fernheim, Friesland, Volendam, and Neuland. On the whole this form of Mennonite self-government in Paraguay has been very successful to the 1950s. It has been possible to maintain law and order without using force with the exception of one or two instances where it was necessary to administer corporal punishment to recalcitrant striplings. It is true of course that those who are dissatisfied with the social order in the colony can leave, and are probably under so much social pressure that they voluntarily leave before they become serious problems to the authorities. But in any case, for thirty years these Mennonite states existed in the heart of South America without the use of force, and have maintained a good degree of law and order, industry, sobriety, and peace. It is difficult to say whether the former Mennonite settlements in South Russia and the Mennonite colonies in South America present a form of union of church and state or not. It is true that in these colonies the church governed or governs itself without interference or support from the civil government. That is, the Mennonite churches in these colonies have not been subjected to or made a part of the civil government. Nor has the church in its organized form, that is, in its regular meetings or conferences, dictated on the other hand to the government. The functions of church and state have been maintained as completely separate functions, the functions of the state being exercised by the civil assemblies, and the functions of the church being exercised by the ecclesiastical assemblies. Yet the same people are members of both the civil and ecclesiastical assemblies, with the exception of those church members who have been excommunicated or those who have grown up without being baptized and joining the church. However, it is true beyond the shadow of a doubt that the actual leadership of this joint life in the Mennonite colony, both in Russia and South America, has usually been largely in the hands of the elders and ministers. It is inconceivable that anything could be done in these colonies that would be basically contrary to the teachings and wishes of the church leaders. Thus in effect if not in form there is an amalgamation of the church and state. Is this not an ideal solution to the problem? However, this solution seems to be possible only in a state which is not well developed nor prosperous and which has large open spaces in which it is possible to settle blocks of foreign population without interfering with the national life in general. Paraguay is a poor country with a small population and with large unoccupied areas. It is very anxious to secure settlers and it is willing to pay the price of granting practical independence to such foreign groups as the Mennonites in order to secure the benefit of their service in the development of the state, at least in the Gran Chaco territory. Mennonites in the Netherlands in the early period after 1530 likely still held government office. In so doing they acted in line with the later Menno Simons, who in 1554 still declared, "I should not like to compel a Christian to lay down his office; I would commit him to his own conscience and the guidance of the Holy Spirit" (Kühler, 342). But not long after this Anabaptists are no longer found in office, in the first place because it was no longer possible in the face of the growing persecution, and also because the Mennonites themselves took the position that they must absolutely not hold office. Two confes­sions of faith, the Olijftacxken (1626) and that of Jan Cents (1629), say that government office does not fit into the church. The other old confessions are silent on this point. In the confession of Cornelis Ris (1766) we read, "If such an office should be committed to us, then we should be greatly con­cerned about it and not prepare to take it, for the will of Christ to rule thus is quite unknown to us." In 1585 the States General released the Mennonites from the duty of holding office, and between 1607 and 1612 there are several resolutions which re­leased them in return for payment, since they were well-to-do. The Waterlanders did not consider an office in government necessarily to be at variance with the Gospel. At the conference of preachers and elders held at Amsterdam in 1581 it was decided that a position on the city council (vroedschapsambt) and on the tax commission (belastingambtenaar) were permissible. Jan van der Beest, a Mennonite, became a notary at Schiedam on 29 September 1622. He was released from the usual oath of office by the States General, after his petition to this effect had once been refused. Nevertheless many Waterland Mennonites in North Holland until after 1600 frequently refused to hold office and were fined in consequence. This happened, for example, when the Waterlander preacher of Rotterdam, Eduard Nabels, was appointed sheriff in 1629; he was exempted from this office by paying a "gift" of 25 guilders to the poor of the Reformed Church. But by degrees the Mennonites frequently accept­ed office, especially the "lower" ones in which the shedding of blood was not involved. In the course of the 17th and 18th centuries the aversion to public office disappeared among the Mennonites, though the strict group ("fijne") held to the principle until about 1790. Thus in 1719 Pieter Zwart, a deacon in the Frisian congregation of Oude-Niedorp, was nearly excommunicated for accepting the office of schepen (alderman). That few public offices were held by Mennonites in the 18th century is also due to the fact that these offices were considered the pre­rogative of members of the established church; on the whole Mennonites were excluded. Even in places where the Mennonites were in the majority, such as North Holland, they were hardly ever in public office. As soon as this ban was lifted the Mennonites went into the offices, and by the time of the French occupation we find many Mennonites as mayors and as members of city councils. In Hengelo it was, for instance, decided that the city council should consist of three Catholics and two Mennonites. Since 1800 many Mennonites have held important posts in the government, up to the very high positions; thus there was a relatively high number of Mennonite ministers of state; at one time four of the eleven members of the cabinet were Mennonites. That obedience to the state is an obligation of the Christian is expressly stated in all Dutch Mennonite confessions of faith where the subject is treated at all. The very first one, the Waterlander confession of Hans de Ries (about 1580) says (Article 37): "The temporal power or government is a necessary ordinance of God, ordained and instituted for the preservation of the state and of a good, natural, civil life, to the good for protection, to the evil for pun­ishment. We confess ourselves obliged and bound by God's Word to fear the government, to show it hon­or and obedience in all things which are not in con­flict with the Word of the Lord. We are bound to pray to the Almighty God for it, to thank the Lord for good, honest benevolence, and to give without murmuring the tax, tithe, and fees due it." The other confessions agree with this, especially the Dordrecht Confession and that of Cornelis Ris. Although the description of the majority position of Anabaptists toward the state in the Bender article above is basically accurate in the view of most recent interpreters, more would be made of the diversity among early Anabaptists concerning the state. The major work on the subject (Stayer) argues that Anabaptist views on the sword ranged from "crusading" (Münster), to "Realpolitik" (Hubmaier, cf. Zwingli and Calvin) to "Separatist Nonresistance" (the Swiss Brethren, the view which the above article identified as the normative Anabaptist-Mennonite view). The apocalypticism of Hans Hut and of Melchior Hoffman is stressed by Stayer and other recent interpreters. In this view, Anabaptist apocalyptic expectations relativized their nonresistance and made possible a transition from peaceable Anabaptism to the effort to usher in the kingdom of God with violence (Münster). In Stayer's view, the "separatist nonresistance" position did not become the norm until around 1560 though it is the position which survived and became dominant. In addition, it seems that a number of Anabaptists, including Pilgram Marpeck and Menno Simons, believed firmly that Christians may not kill but -- unlike the Swiss Brethren -- were not necessarily convinced that this required a full separation from all involvement with government. If this is true, the difference between "Mennonite" and "Quaker" attitudes toward the state are less systematic and theological, and more situational, shaped by their concrete experiences of the state (Yoder). Stayer sometimes suggests that the "separatist nonresistants" saw the state as being of the devil. On this point the above article is more accurate: "The necessity for the state is human sin, but the ordination of the state expresses both God's wrath against sin and His gracious love" (p. 612). A related point of updating concerns Mennonites in colonial and revolutionary Pennsylvania (1700s). Mennonites were quite active politically, certainly including voting, generally supporting the Quaker party during the colonial period. Though they did not hold high offices, Mennonite concern in this period had not so much to do with avoiding all government as it did with avoiding direct participation in violence. Only when, especially during the Revolution, they had to choose between political participation and nonviolence, did they chose to forfeit their political rights. They did not see political participation as unchristian so long as it did not require participation in war. In general terms, the period since World War II has seen some revival of peace concern among European Mennonites, partly as a result of increased contact with Mennonites from North America, but also because of involvement, particularly among some Dutch and German Mennonites, with the broader religious and secular peace movement. In Germany a gradually increasing number of Mennonites have been conscientious objectors (COs) since conscription was reintroduced in 1957. In 1985 the North German Vereinigung der deutschen Mennonitengemeinden (Association of German Mennonite Congregations) approved a new peace concerns statement (the first since 1934) that affirmed COs. In Switzerland since the early 1970s a small minority of Mennonites (about 20) have refused military service, even though there was no legal provision for conscientious objection until 1988. There has also been interest in witness to government and in a broad program of peace education. The Dutch, Swiss, and German Mennonite peace committees and the European Mennonite Peace Committee (Europäisches Mennonitisches Friedenskomitee), have been organizational centers of these efforts. One recent and visible attempt to deal with some of these concerns has been the establishment of Agape Verlag in Germany. Another is a series of discussions with representatives of the North Atlantic Treaty Organization (NATO) on defense policy, together with the establishment of the newsletter NATO Watch. Mennonites from the Netherlands, Germany, and Switzerland have also been active in Church and Peace, an ecumenical European peace organization. The general posture of European Mennonite peace groups toward the state has been one of witness, supporting less militaristic policies and greater recognition of conscientious objection (the latter particularly in France and Switzerland). Except for the Netherlands where the Doopsgezinde Vredesgroep (Mennonite Peace Group) has been comparatively strong, the number of Mennonites actively supporting peace groups is relatively low. Small Mennonite churches, focused centrally around peace witness, have been started in England, Ireland, and Spain. In the years immediately after the Russian Revolution (ca. 1918-21) Mennonite life in the Soviet Union was almost totally disrupted due to famine, civil war, and general lawlessness and disorder in the areas of the major Mennonite colonies. A minority of young Mennonite men took up arms to defend the colonies against roving hands of marauders (the Selbstschutz). This experience of anarchy and subsequent experiences with the Soviet government gave many Mennonites who left the Soviet Union a deep appreciation of stable government and a great aversion to revolution and to communism. Since the revolution Mennonites as Christian believers have stood in a basically conflictual relationship with the officially atheistic government suffering various kinds of persecution or limitation of freedom. The status of some of them, wealthy farmers or businessmen, also put them in conflict with the new government. During the 1920s more than 20,000 emigrated. During the 1930s and 1940s virtually all Mennonites were sent to labor camps and mines or were otherwise relocated, a process through which many died. Another large emigration, about 12,000, followed World War II. Nevertheless, many others remained. For those who stayed, relations with other German-speaking Christians became increasingly important after World War II. In the decades following the revolution, specifically Mennonite identity waned as the religious institutions which had supported church life were disrupted. Since the mid-1960s most Mennonites have joined the officially recognized All-Union Council of Evangelical Christians-Baptists while others have rejected it as too compromised. In both cases, a specifically "Mennonite" identity is fading as they find fellowship and identify with other Christians-now often leaving behind the German language also. Since the mid-1970s restrictions on church life have generally been less severe than in earlier decades. Nevertheless, more than 13,000 persons of Mennonite origin emigrated from the Union of Soviet Socialist Republics, primarily to West Germany, since 1970 (Umsiedler/Aussiedler). Developments on church-state issues in Canada and the United States since World War II have had important elements of commonality but with some significant differences as well. In both countries World War II reinforced theologically a sharp church/world dualism and a pessimism about the possibility of the world adopting the way of peace (see the debate about "nonresistance " versus "pacifism" in the writings of Hershberger and others) -- thus strengthening a tendency toward "separation." At the same time, the war helped set in motion changes in education, occupations, and geographic patterns (urbanization) which brought many Mennonites into the mainstream of their societies in important respects. This, together with the development of a positive theology of mission and service (Hershberger), and a corresponding widespread involvement in mission agencies and Mennonite Central Committee, caused Mennonites to become engaged with the world in a new way. This shift lies in the background of a growing acceptance of the state as a proper arena for Christian witness in both countries among most, though not all, Mennonites. Especially in the United States, the experiences of the civil rights movement and the war in Vietnam helped overcome the view that Christians should have nothing to do with government. In the civil rights movement, Martin Luther King, Jr., demonstrated that nonviolent action could bring significant political change. In addition, the political structures proved to be open to some positive change. In the case of Vietnam, the war was ended partly because of widespread public discontent. In both cases Mennonite peace concerns, theologically grounded, and secular wisdom often coincided and Mennonites had many allies in the broader society, unlike their experience during the 1940s. These experiences suggested that Mennonite concerns were not entirely inapplicable to politics and that perhaps one did not need to compromise one's convictions to have a political role. Nevertheless, these experiences left a sense of "over againstness" among U.S. Mennonites in their relationship to government. While the government might be brought to change, it was often a major perpetrator of problems. This was somewhat different on the Canadian scene, where Mennonites experienced a government which was more benign (often even positive), especially in terms of world peace. Also growing out of these experiences and the experiences of Mennonite Central Committee (MCC) and mission workers was a concern for justice. This was felt on both sides of the border. To avoid war and other sins-or to give "a cup of cold water" was no longer a sufficient expression of discipleship. Attention began to focus on seeking justice, especially for those who were victims of systemic forces beyond their control, often forces based in the United States (victims such as blacks in America, Vietnamese civilians, Nicaraguan peasants, etc.). Attention began to focus more on the political and economic causes of poverty and war. With that came, naturally enough, a stronger need to address those in power. An additional change was a theological shift which, in a different way, called into question traditional understandings of the church/world dualism. Beginning in the early 1960s, the idea of "the lordship of Christ" began to be used in Mennonite circles to mean that Christ is objectively Lord of all. He is not only Lord of the church (where his lordship is recognized) but also of the world (though his lordship is not recognized). From this theological perspective "a Christian witness to the state" was a sensible, even mandatory, undertaking -- in a way that it was not if the state was conceived of mainly or solely as a mechanism through which God held back the forces of sin and chaos. One should be a "witness" to Christ's lordship over the state by calling the state to approximate more fully the norms which Christ revealed as right for all humankind. John H. Yoder was the most important figure in this development. On the basis of these experiences and this theology, offices were opened by MCC in Washington (late 1960s) and Ottawa (mid-1970s). They were designed to facilitate a witness to government both by providing to churches information on issues facing governments and by arranging for Mennonites to share their concerns and knowledge with officials (lobbying). The second function often involves scheduling appointments for returned mission and service workers with appropriate government officials in order to present officials with alternative perspectives on situations about which they must make policy decisions. This kind of witness is seen as being dependent upon substantial direct involvement in situations of conflict and need around the world through mission and service programs. Such involvement provides both the knowledge to make the witness and the integrity which makes it authentic. This "semiofficial" posture of "witness" to government still assumes that Christians (at least Mennonite Christians) are not themselves "the government." Nevertheless, the sense that government centers are important places if one is interested in pursuing questions of peace and justice has caused an influx of Mennonites into Washington and Ottawa (symbolically and actually). Some work in various lobbies, but many work within government. In Canada there are more Mennonites in high positions (including Parliament) than in the United States, and working within government is more common for Mennonites there, but Mennonite involvement in various government capacities is increasing rapidly in both countries. In addition, MCC Canada has received sizable amounts of government funding since about the mid-1970s. If those who move from "witness" to "involvement" in government may, at least in some cases, step outside the mainstream of Mennonite thought on church-state relations, there are others who do so by stepping out in different directions. Some, particularly in the United States, take part in more dramatic and controversial kinds of witness to government, such as war tax resistance, and military draft and draft registration resistance (the General Conference Mennonite Church and the Mennonite Church [MC] have pledged support of draft resisters, but have not called on all members to act likewise). Some have also engaged in protests and civil disobedience opposing the arms race. On the other side are those who reject the idea that the church should witness to government at all, who claim Christians have no business telling governments how to govern, and who see themselves as the true inheritors of the Mennonite heritage. The dual emphases on the value of justice and the systemic analysis of the causes of injustice, as noted above, have also led some to question the rejection of revolution which has been a part of Mennonite thought. This kind of questioning has grown out of experiences of workers in places like Vietnam, Central America, the Philippines, and South Africa, where meaningful changes seem to be blocked by ruling elites. Along with this has come a certain questioning of pacifism. What if justice is apparently best served by violent revolution? While this question is not fully resolved in Mennonite thought, the direction being explored most seriously now is that of nonviolent direct action (witness the interest in the "Christian Peacemaker Teams" idea suggested at the 1984 Mennonite World Conference). Along with a more activist understanding of peacemaking (sociopolitical activism) has come a widespread rejection of "nonresistance" as an adequate understanding of the positive peacemaking task. This interest in a more activist posture, and in social change in the direction of justice, has contributed to a new understanding of the ethic of Jesus. The emerging view rejects "nonresistance" in favor of the use of active (perhaps even "coercive") nonviolent action in pursuit of justice (Duane Friesen). But all of these approaches are not necessarily widely representative of Mennonites as a whole. It is true that political participation, at least as measured by voting, is increasing at the "grassroots" level. But despite the focus of "official" Mennonite structures dealing with policy questions centered on peace and justice issues, the evidence suggests that Mennonite voting patterns are heavily dependent on the social, economic, and political ethos of their communities. Thus in the United States rural Mennonites, who are more accessible to analysis than urban Mennonites, tend to vote heavily for conservative Republican candidates. Some of this may be explained by the influence of conservative radio and television preachers in parts of the Mennonite world. It is not clear what the implications of these shifts might be. Evidence does not indicate that greater acceptance of political participation has led, for example, to a decline in pacifist commitment. Nevertheless, in the long term, shifts on that level may also occur, particularly unless some sense of church and world separation is maintained. The views of the missionary founders of newer Mennonite churches around the world are a crucial factor shaping the churches' attitudes. Generally, Mennonite missionaries carried with them personal convictions affirming nonresistance, separation of church and state, and other distinctively Mennonite views. Sometimes these elements have been consciously included as central to the gospel. Especially in recent years, efforts have been made to articulate and embody an integrated "gospel of peace" (Ramseyer). Nevertheless, such "distinctives" apparently were often seen as secondary and not essential to the gospel message itself. This was especially true among missionaries strongly influenced by Fundamentalism. Thus these components of the gospel frequently were not stressed or taught systematically. in addition, at least in some areas (e.g., India), missionaries usually cooperated closely with, and identified with, colonial government officials (Colonialism). Little has been written about the relations of indigenous Mennonites to the state in areas where the church was planted as a result of mission efforts, usually within the last 100 years. It is clear that relations have varied greatly, depending upon the concerns of the missionaries, the culture and history of the country involved, and the attitude of the government toward the churches. Both lack of information and variety make any generalizations hazardous. In most places, it appears that working out a relationship with the state self-consciously within the Anabaptist-Mennonite tradition has not been a high priority, though this appearance may reflect as much the lack of information available in the West as a lack of concern. It seems that often the gospel has been understood largely as dealing with personal piety, ethics, and one's individual relationship to God, without much thought given to its social and political implications. To what extent this indicates a rejection of important strands of historic Mennonite perspectives on the state is not clear. In many places the explanation may be that major problems in this area simply have not yet demanded the attention of the church. Bender, H. S. "The Anabaptists and Religious Liberty in the Sixteenth Century." Mennonite Quarterly Review 29 (1955): 83-100. Bender, H. S. "The Pacifism of the Sixteenth Century Anabaptists." Mennonite Quarterly Review 30 (1956): 5-18. Bender, H. S. Bender. "Church and State in Mennonite History." Mennonite Quarterly Review 12 (1938): 83-103. Cate, Steven Blaupot ten. Geschiedenis der Doopsgezinden in Groningen, Overijssel en Oost-Friesland, 2 vols. Leeuwarden: W. Eekhoff en J. B. Wolters, 1842: v. II, 40. Cate, Steven Blaupot ten. Geschiedenis der Doopsgezinden in Holland, Zeeland, Utrecht en Gelderland, 2 vols. Amsterdam: P.N. van Kampen, 1847: v. I, 211, 213. Doopsgezinde Bijdragen (1867): 66; (1873): 163; (1877): 86; (1882): 73; (1899): 181 f. (1909): 168. Ediger, Elmer. "A Christian's political responsibility." Mennonite Life 11 (July 1956): 139 ff. Fretz, J. Winfield Fretz. "Should Mennonites participate in politics?" Mennonite Life 11 (July 1956): 139 ff. Friesen, Peter M. Die Alt-Evangelische Mennonitische Brüderschaft in Russland (1789-1910) im Rahmen der mennonitischen Gesamtgeschichte. Halbstadt: Verlagsgesellschaft "Raduga", 1911: 483 ff. Geiser, Samuel Geiser "Die Wehrlosigkeit in der Schweiz." Mennonitisches Jahrbuch (1954): 35 ff. Händiges, Emil. Die Lehre der Mennoniten in Geschichte und Gegenwart. Ludwigshafen, 1921. Hege, Christian and Christian Neff. Mennonitisches Lexikon, 4 vols. Frankfurt & Weierhof: Hege; Karlsruhe: Schneider, 1913-1967: v. I, 68 f.; v. III, 289 f.
Hershberger, Guy. F. Christian Relationship to State and Community. Akron, 1942. Hillerbrand, Hans J. "An early Anabaptist Treatise on the Christian and the state," Mennonite Quarterly Review 32 (1958): 28-47 (including a photographic reproduction of the complete text of the important tract Aufdeckung der Babylonischen Hurn und Antichrists (Disclosure of the Harlot of Babylon and of the Antichrist . . . Also About the Victory, Peace, and Reign of the True Christians and How They Are Obedient to the Magistrate, Carrying the Cross of Christ in Patience and Love, Without Rebellion and Resistance). Hillerbrand, Hans J. "Die politische Ethik des Oberdeutschen Taufertums (unpublished dissertation, University of Erlangen, 1957). Hillerbrand, Hans J. "The Anabaptist View of the State," Mennonite Quarterly Review 32 (1958): 83-110. Hoop Scheffer, Jacob Gijsbert de. Inventaris der Archiefstukken berustende bij de Vereenigde Doopsgezinde Gemeente to Amsterdam, 2 vols. Amsterdam: Uitgegeven en ten geschenke aangeboden door den Kerkeraad dier Gemeente, 1883-1884: v. I, 447. Krahn, Cornelius. Menno Simons. Karlsruhe, 1936: 164-69. Kreider, Robert. "The Anabaptist and the State" in Recovery of the Anabaptist vision (Scottdale, 1957): 180-93. Kreider, Robert. "The Relations of the Anabaptists to the Civil Authorities in Switzerland 1525-1555" (unpublished dissertation, University of Chicago, 1952). Kühler, Wilhelmus Johannes. Geschiedenis der Nederlandsche Doopsgezinden in de Zestiende Eeuw. Haarlem: H.D. Tjeenk Willink, 1932: v. I, 342. Lehman, C. K. "The Christian and Civil Government" in Bible Teaching on Nonconformity. Scottdale, 1940. Loewen, Esko. "Church and state." Mennonite Life 11 (July 1956): 139 ff. Muralt, L. von. Glaube und Lehre der schweizerischen Wiedertäufer in der Reformationszeit. Zürich, 1938. Neufeld, Elmer. "Christian Responsibility in the Political Situation." Mennonite Quarterly Review (1958): 141-62. Reimer, Gustav E. and G. R. Gaeddert. Exiled by the Czar. Newton, 1956. Schijn, Hermann. Geschiedenis dier Christenen, welke in de Vereenigde Nederlanden onder de Protestanten Mennoniten genaamd worden . . . Tweede Druk op nieuws uit het Latyn vertaald, en vermeerdert door Gerardus Maatschoen. Amsterdam: Kornelis de Wit, 1743: lviii-lvix and 321-23..
Waltner, Erland. "An Analysis of the Mennonite Views on the Christian's Relation to the State in the Light of the New Testament" (unpublished doctoral dissertation, Eastern Baptist Theological Seminary, 1948). Waltner, Erland. "The Mennonite View of the Relation of Church and State." Proceedings of the Fourth Annual Conference on Mennonite Cultural Problems (N. Newton, 1945). Wenger, J. C. Separated unto God. Scottdale, 1951, chapter, "The Christian and the State": 245-63. Wunsch, Georg. Evangelische Ethik des Politischen. Tubingen, 1936. Yoder, Edward. "Christianity and the State." Mennonite Quarterly Review 11 (1937):191-95. Yoder, Edward. "The Obligation of the Christian to the State and Community." Mennonite Quarterly Review 13 (1939):104-22. Yoder, John H. "Der Staat im Neuen Testament," Mennonit 10 (1957): 84 f., 132 f., 151. Bibliography on War and Peace (1987), esp. 128-77. Brock, Peter. Pacifism in Europe to 1914. Princeton U. Press, 1972:, 59-113, 162-254, 407-441. Christian Peacemaker Teams: a Study Document. Akron: MCC, 1986, reflects the growing interest in activist peacemaking and nonviolent direct action. The Christian Witness to the State (Statement of the Mennonite Church [MC] 1961). Classics of the Radical Reformation 3, esp. 244-301. Epp, Frank H. Mennonites in Canada I and II. Friesen, Bert, compiler. Here We Stand: an Index of Peace and Social Concerns Statements by Mennonites and Brethren in Christ in Canada, 1787-1982. Winnipeg: MCC Canada, 1986. Friesen, Duane K. Christian Peacemaking and International Conflict. Scottdale, 1986, represents a newer activist "peacemaking" approach which focuses primarily on action in the world, not on ethics for the Christian community itself. God and Caesar, a newsletter promoting war tax resistance published by the General Conference Mennonite Peace Secretary, Newton, Ks. Guidelines for Today and The Sword and Trumpet, major expressions of conservative criticism of the kind of Mennonite political witness which has become prevalent. Hershberger, Guy F. The Way of the Cross in Human Relations. Scottdale, 1958, the most important works on these issues from the 1940s and 1950s. Hershberger, Guy F. War, Peace, and Nonresistance. Scottdale, 1944. Hoekema, Alle. "Pieter Jansz (1820-1904), First Mennonite Missionary to Java," Mennonite Quarterly Review 52 (1978): 58-76. Janzen, William. "Militarism and the response of Canadian Mennonites from the 1940s to the 1980s," unpublished MCC Canada discussion paper, Sept. 12, 1986. Juhnke, James C. A People of Mission: a History of General Conference Mennonite Church Overseas Missions. Newton: Faith and Life, 1979. Justice and the Christian Witness (Joint Statement of the Mennonite Church [MC] and the General Conference Mennonite Church, 1983). Kauffman, J. Howard and Leland Harder. Anabaptists Four Centuries Later. 1975: 150-169, statistical information on attitudes and actions from a 1972 survey. Keidel, Levi. Caught in the Crossfire. Scottdale, 1979. Lapp, John A. The Mennonite Church in India, 1897-1962. Scottdale : Herald Press, 1972. MacMaster, Richard K. Land, Piety, Peoplehood: the Establishment of Mennonite Communities in America, 1683-1790. Scottdale, 1985. MacMaster, Richard K.; Samuel L. Horst and Robert F. Ulle. Conscience in crisis: Mennonites and Other Peace Churches in America, 1739-1789. Scottdale, 1979. Mennonite Reporter/Canadian Mennonite, the best source of current reporting on Canadian Mennonites and political issues. Mission Focus, a quarterly (later, annual) journal. Peachey, Urbane, ed., Mennonite Statements on Peace and Social Concerns, 1900-1978. Akron: MCC, 1980. Ramseyer, Robert L. ed., Mission and the Peace Witness. Scottdale, 1979. Redekop, John H. "Mennonites and Politics in Canada and the United States." Journal of Mennonite Studies, 1 (1983): 79-105. Reimer, Al. My Harp is Turned to Mourning. Winnipeg : Hyperion Press, 1985. Sawatsky, Walter. "From Russian to Soviet Mennonites, 1941-1985," in Russian Mennonite History: Essays in Memory of Gerhard Lohrenz, ed. John Friesen. Sawatsky, Walter. Soviet Evangelicals since World War II. Scottdale, 1981. Schlabach, Gerald W. "Military Service, Conscientious Objection and Nation-Building: the Case of Revolutionary Nicaragua," unpublished paper available from Mennonite Central Committee. Schlabach, Theron F. Gospel versus Gospel: Mission and the Mennonite Church, 1863-1944. Scottdale, 1980, focuses on the nature of the gospel taken by North American Mennonite (MC) missionaries as they started new churches. Stayer, James M. Anabaptists and the sword. 2nd ed. Lawrence, Kansas: Coronado Press, 1976. Toews, John B. "The Origins and Activities of the Mennonite Selbstschutz in the Ukraine (1918-1919)." Mennonite Quarterly Review (1972): 5-40. Toews, John B. Czars, Soviets and Mennonites. Newton, 1982. Washington Memo, a bimonthly publication of the MCC Washington office, the best source on current U.S. Mennonite dealings with national policy questions. Yoder, John H. The Christian Witness to the State. Newton, 1964, the most important book justifying a posture of "witness" to the state, which has become the dominant stance among North American Mennonites. Yoder, John H. The Politics of Jesus. Grand Rapids: Eerdmans, 1972, the most important modern Mennonite interpretation of the political orientation of Jesus and the early church. Yoder, John H. Yoder. "Anabaptists and the Sword Revisited." Zeitschrift fur Kirchengeschichte 85 (1974): 270-83. Yoder, Lawrence. "The church of the Muria: A History of the Muria Christian Church of Indonesia" (PhD Thesis, Fuller Theological Seminary, 1981). Bender, Harold S., Nanne van der Zijpp and Theodore J. Koontz. "Church-State Relations." Global Anabaptist Mennonite Encyclopedia Online. 1989. Web. 18 Apr 2019. http://gameo.org/index.php?title=Church-State_Relations&oldid=144952. Bender, Harold S., Nanne van der Zijpp and Theodore J. Koontz. (1989). Church-State Relations. Global Anabaptist Mennonite Encyclopedia Online. Retrieved 18 April 2019, from http://gameo.org/index.php?title=Church-State_Relations&oldid=144952. Adapted by permission of Herald Press, Harrisonburg, Virginia, from Mennonite Encyclopedia, Vol. 4, pp. 611-619, 1148; vol. 5, pp. 159-162. All rights reserved.